Kelsey Fahnestöck has been with Morris-Baker since 2017. 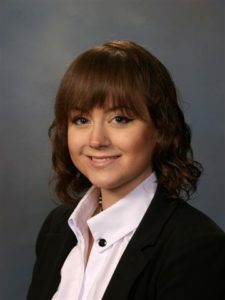 Originally from Illinois, she has an associate’s degree in applied science and art from Illinois Central College as well as a degree in mortuary science from Worsham College. In her free time, she enjoys drawing, reading, collecting art and comics, cooking, baking, and being outside.